Any criminal lawyer knows that before a law enforcement officer, who lacks probable cause to arrest, can detain someone and thereby curtail his or her freedom of movement, he must first have reasonable suspicion to believe that criminal activity is afoot. Reasonable suspicion must be based on “specific and articulable facts” that leads the officer to believe that (1) a crime has been, is being, or is about to be committed and (2) the person to be detained is likely responsible for the criminal activity. If the officer develops the requisite reasonable suspicion, he/she is legally permitted to conduct a brief investigatory stop of the suspect to “confirm or dispel” his/her suspicions. In the recent case of People v. Casares, (2016) 62 Cal.4th 808, among the many legal issues the defendant’s criminal lawyer raised on appeal was whether the arresting officer had reasonable suspicion to detain him. If not, then the evidence should have been suppressed. On the evening in question at around 10:16 pm, the arresting officer saw a van parked on the north side of a convenience store parking lot in a poorly lit area lacking demarcated parking spots. The west side of the building had better lighting. The van was parked 6-8 feet from the store, facing westward toward the front of the store. The arresting officer was aware of thefts from the store where the suspects would exit the store and head to the north where they would sometimes flee in vehicles. Based on the officer’s knowledge of prior thefts and because the van was parked in the poorly lit portion of the lot instead of the marked spaces next to the store where the lighting was better, the officer stopped to investigate the vehicle and its occupants, believing that a robbery may be in progress. The officer pulled in behind the van and approached defendant, who was the only occupant and was seated in the driver’s seat. The officer questioned defendant and asked for his identification, which defendant was unable to produce. Because defendant was unable to produce identification and the van was borrowed from his uncle, and for officer safety, the officer patted defendant down and found a wad of cash in his front right pocket totaling $1,464. The officer then searched the van and found a gun on the floorboard to the right side of the driver’s seat. At the suppression hearing at the trial court, it ruled that the officer had reasonable suspicion to detain defendant based on the officer’s knowledge of prior robberies at the convenience store and the fact defendant was parked in a poorly lit section of the parking lot, despite the availability of parking spaces in the well-lit section of the lot. The trial court further ruled that the officer violated defendant’s Fourth Amendment rights by reaching into his pocket and retrieving cash, when the officer acknowledged he did not think defendant had a weapon or other contraband in the pocket, necessitating suppression of the cash. However, the trial court ruled that the subsequent search of the van and discovery of the weapon in plain sight were lawful based on defendant’s consent. On appeal, the California Supreme Court held that the trial court properly excluded the evidence of the cash found on defendant’s person, but erred in admitting evidence of the gun found in the van. The Court reasoned that because the detention was unlawful, the subsequent searches of defendant’s person and van were also unlawful. 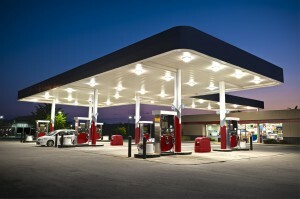 It noted that no evidence was presented at the suppression hearing regarding the overall frequency of thefts at the convenience store or that robbers did not also commonly park on or exit toward the better-lit west side of the store. Additionally, the Court noted that the officer failed to describe any furtive movement or other behavior by defendant suggestive of criminal activity. Therefore, at the point when the officer initiated the identification procedure, he had no factual basis for a reasonable suspicion that defendant was then engaged in any criminal activity. This case highlights the crucial Fourth Amendment principle that reasonable suspicion must be based on more than an officer’s mere hunch. Even though the officer had allegedly known about previous robberies at this convenience store, he did not have sufficient “specific and articulable facts” that defendant was in the midst of criminal activity. In short, the officer merely had a hunch. But, as the Court noted, a hunch without more is insufficient to legally justify intruding on someone’s freedom. 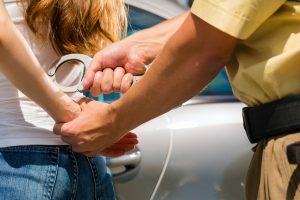 If you’ve been arrested and believe that the officer(s) may have violated your Fourth Amendment rights in the process, please contact criminal lawyer Paul Hefley for a free, confidential consultation.